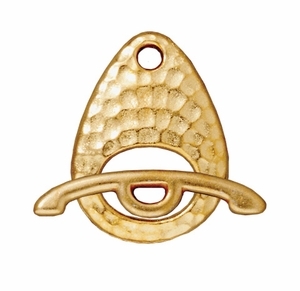 TierraCast® Hammertone Ellipse Gold Plated Toggle. Measurements 22mm x 16mm. The bar is 24mm wide. Sold by the set (toggle and bar).